Campaign Finance: Does the transfer of funds include enough for a blimp? 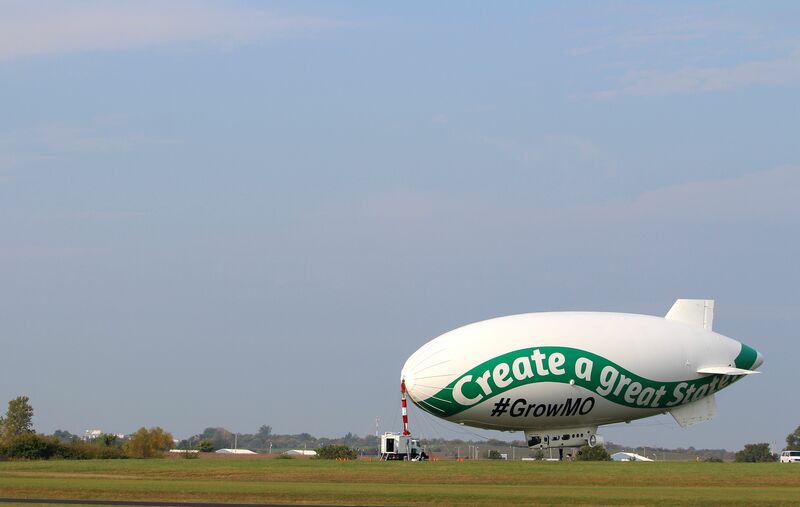 The Rex Sinquefield funded PAC Grow Missouri’s moving billboard at the University of Central Missouri’s Skyhaven Airport near Warrensburg [October 2014 file photo]. Wait, they have the same address. Go figure.